Pucca is a cute Asian girl, who loves zazangmyun (Korean black bean noodle) and loves to play with Garu, her crush. 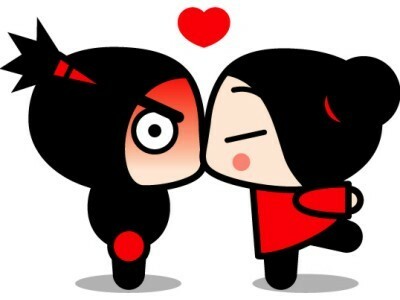 Pucca was created by Vooz Character Systems in 2000. She first appeared in a flash animation called Pucca Funny Love. However, Pucca did not get much attention because there were many other flash animation characters during 2000, which was a period of flash animation boom in Korea. Therefore, the company focused more on the products and merchandise of Pucca instead of animations. However, in the year 2004, Vooz company decided to make a TV series of Pucca called Zazang girl Pucca with FOX KIDS Europe. After launching the TV series, it was a success. More and more became familiar with Pucca and Pucca helped the increased sales of Korean market. Dooly is a very famous character in Korea. He is a green dinosaur living in Gogil Dong’s house. He was created in 1983 by Soojung Kim and it started out in a comic magazine called Treasure Island. Soon, Dooly became very popular and everybody watched Dooly in the 80s and 90s when there were not that many Korean animations. In 1987, KBS first launched TV series of Dooly and in 1995, a movie called Baby Dinosaur Dooly -Adventure of Ice Star was released. Dooly is still famous these days and even though the tv seires stopped after 2006, many people misses the green dinosaur Dooly. Pororo is the most popular Korean character these days among the kids. Pororo is a little penguin, who’s trademarks are his hat and goggles. The TV series called Pororo -the little penguin, launched in 2003 on EBS. The story deals about Pororo and his friends finding adventures and friendship. 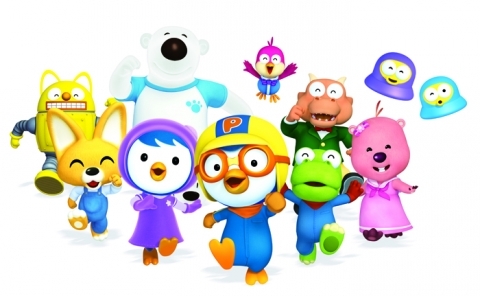 After the launch of the TV series, Pororo became very popular among the kids and it also launched at 110 countries due to its rapidly growing fame. Since Pororo became so popular, it has a nickname of President Pororo, since all kids follow and love him. This entry was posted in animation, art and tagged art, Dooly, Korean animation, Pororo, Pucca, Quarter 4 2011. Bookmark the permalink.